Are you older than 38 and would like to get pregnant safely? Have you had more than one miscarriage? You should be aware of the fact that age, and genetic abnormalities can alter the sperm count and sperm motility. Furthermore, the incidence of genetic disorders can increase by up to 13%, with regard to the general population. 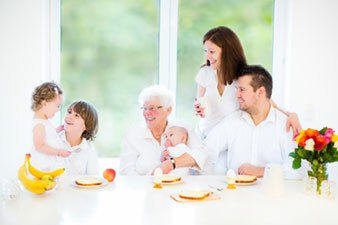 Could you have a genetic disorder in your family? Do you want to have a Genetically Healthy Children? We all carry genetic alterations in the DNA, which is the molecule that contains the instructions that the cells and our body need to work properly. We inherit half of our DNA from each of our parents and our children will have half our genetic material. Staff were excellent throughout the process at explaining every step. The International Department are very service minded and focussed. Really easy to get in touch with, extremely pleasant and they take time to make sure everything is ok. We have felt safe and secure along the whole way. Very good personal touch with transfer and hotels too. Have no hesitation in recommending this Clinic. Good reported success rates and recommendations from people who have been here before. Excellent reputation on the internet. Felt comfortable immediately from the first phone call with International Department and during the whole process. All the staff gave a high degree of confidence in quality of procedures. Centre specialised with international patients and well known reputation. Nice location with easy airport transfer. First class! From the first contact, until the end, it has been positive all the way. International team was very assertive and helpful. They did not mind answering all the questions. It was very well organised and everybody was really positive. Thank you for the kindness and support. Would recommended the clinic to all my colleagues.